How Laser Tattoo Removal Actually Works! Laser tattoo removal helps speed up the natural fading process by breaking the trapped ink particles down into smaller fragments. During a treatment session, LaserAll Astanza Duality https://astanzalaser.com/our-lasers/duality/ emits ultra-short pulses of light energy onto the unwanted tattoo. The ink particles in the skin absorb the wavelengths, heat up, and shatter into fragmented particles. These tiny fragments are small enough for the phagocytes to eat up and flush out. After a series of a treatments, the ink particles will continuously be broken down and flushed out until no ink is visible in your skin. 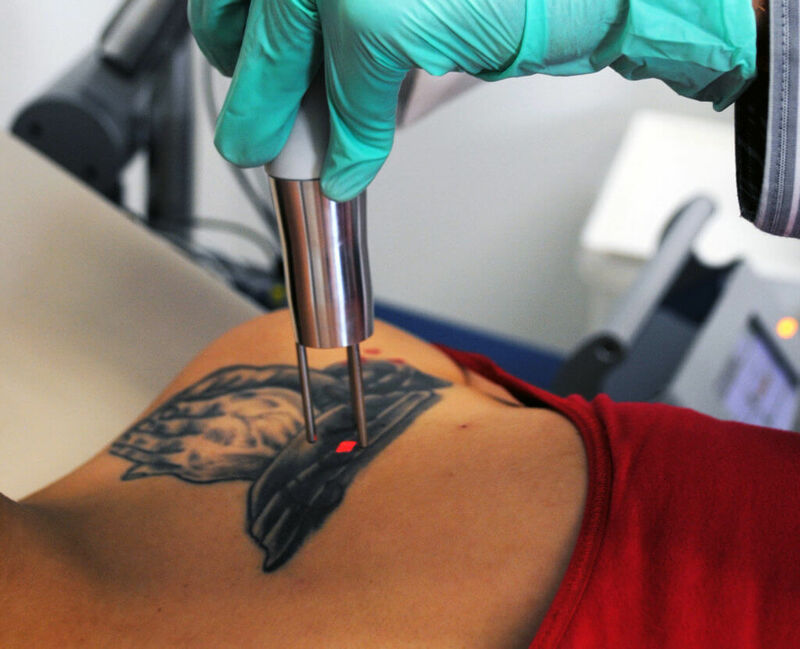 Keep in mind that the rate at which a tattoo fades is different for every patient. Patients with healthier immune systems are more likely to experience faster fading, so be sure to drink plenty of water and maintain a healthy lifestyle for better results. Our Duality laser is designed to shatter more ink in each treatment, meaning fewer overall sessions for you. Call us today to learn more about laser tattoo removal at LaserAll www.theinkshrinks.com in Colorado.